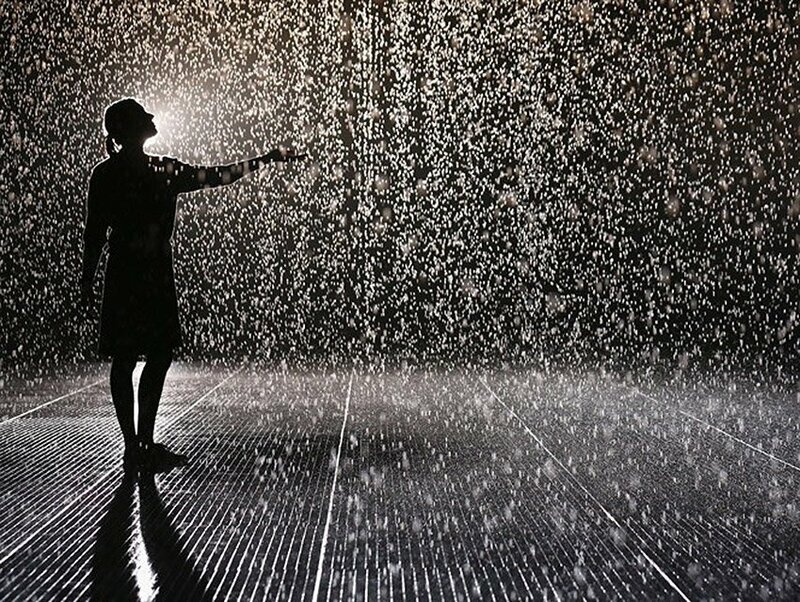 This art installation offered people the opportunity to walk in the rain and not get wet. It must have been an eerie experience. Your senses of sight, smell, and hearing would have registered “wet” but your sense of touch would have denied the fact. The installation worked with a special camera that saw the shape of individuals and turned off water sprinklers above them. Each individual would see and sense rain all around, but would stay dry. I love this example because it is a mix of science, art, and experience. I also love it because I see it as a metaphor for my faith life. I want to go through life seeing and experiencing everything – but I don’t want to get wet, or hurt, or tired, or discouraged. I want God to protect me from all of that. But God uses the wet, the pain, the weariness, and the sadness to teach and shape me. If I were to go through life without pain, I would stay the same. I would never grow. I would come to the false assumption that I did not need a Savior because I had no need of comfort. Life has pain and weariness. Life is not fair or just. Life is life and I live what happens, feel what invades my heart, and learn the lessons in spite of me rather than because of me. The rain helps me to feel the joy of being warm and dry. The rain reminds me that I am open to the dangers of the world and in need of protection. 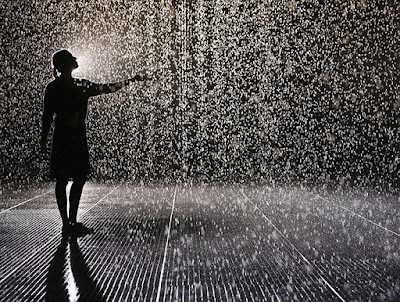 The rain, in its own way, teaches me to live and trust God. God does protect me. He surrounds me with His love. He nurtures my faith in Him. He brings good out of my rain and uses me to reach out to others. The rain in my life does not come back to God empty.